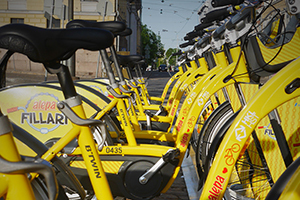 City bikes are being introduced in Helsinki, capital of Finland, to promote an environment-friendly travel mode. 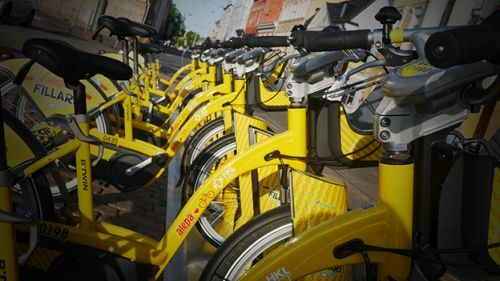 Also known as yellow bikes, people can enjoy them for 30 minutes at a time, longer for extra charges. But 30 minutes is easily enough to cross the entire area of downtown Helsinki. A one-day pass is 5 euros, while all users can enjoy a one-week pass for 10 euros, and a whole season pass (May to October) for the price of 25 euros. Altogether, there are about 50 bike stations around the city providing 500 bikes.